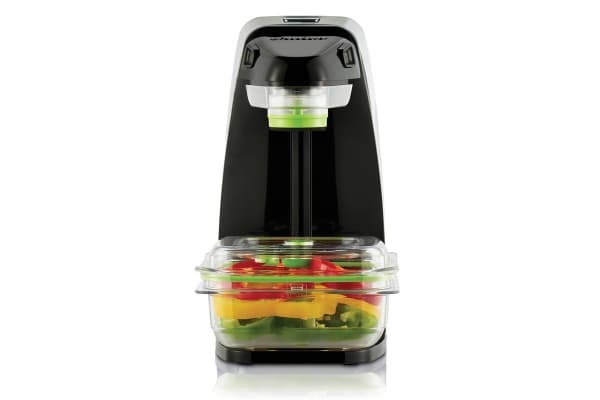 Your compact solution to keeping food fresh. The advanced, unique vacuum seal machine for those looking for a compact and reusable fresh food solution. Sunbeam FoodSaver Fresh Vacuum Sealer is the compact solution to vacuum seal FoodSaver containers and reusable vacuum zipper bags air tight, to keep the air out and the fresh in. 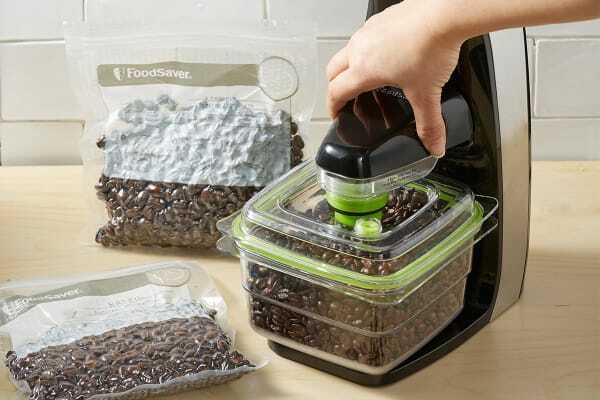 FoodSaver Fresh removes the air, to vacuum seal in the freshness of regularly used foods stored in the fridge or pantry to keep your food fresh up to 2x longer. Perfect for berries, vegetables, cheese, deli meats, leftovers and pantry foods. Air is the enemy of freshness, and other brand zipper bags and containers trap the air in. 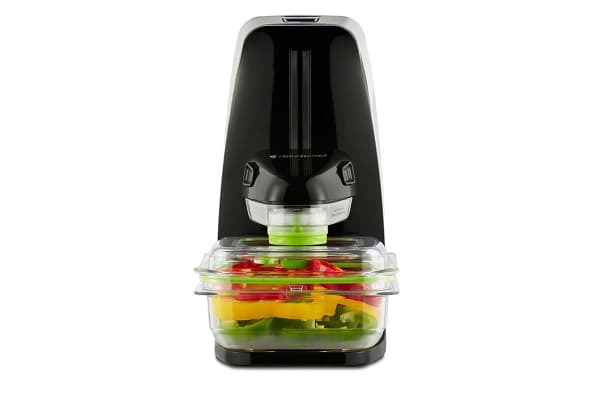 FoodSaver is the only system that takes the air out to vacuum seal the fresh in. The Sunbeam FoodSaver Fresh Vacuum Sealer works with reusable FoodSaver containers and zipper bags to reduce your food waste and grocery bills, while keeping your food fresh for up to 2x longer. The most compact FoodSaver unit, the Fresh is slimline to sit on the bench, for daily use. Just simply place food in your container or vacuum zipper bag, set and start. Fresh automatically stops when the vacuum is complete.